Having a beautiful smile takes some work, but it is worth the effort. Regularly going to the dentist is only part of the process of maintaining optimal oral health. Adopting proper at-home oral hygiene practices can help protect your teeth and prevent the development of severe dental conditions. Generally, it is recommended to follow the protocol below between dental visits to keep your teeth and gums as healthy as possible. 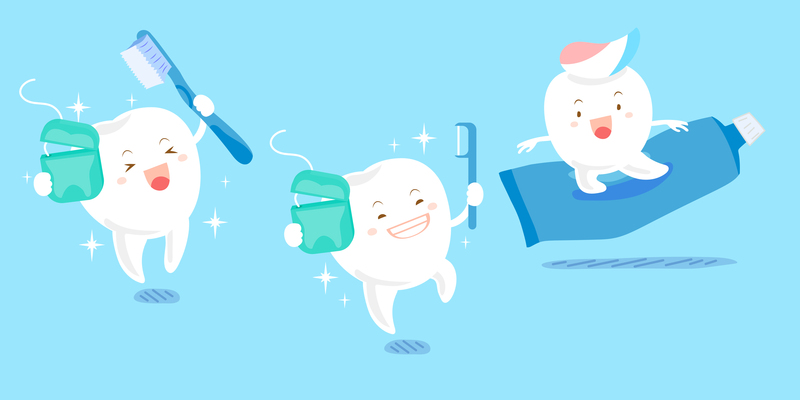 Brushing removes daily cavity-causing residue and bacteria from the surface of the teeth. It is recommended to brush twice a day for two minutes each time with a soft-bristled toothbrush thoroughly. Holding it at an angle, pointing the bristles towards your gum line, is the most effective way to clean the plaque off your teeth. We strongly recommend electric toothbrushes for the cleanest teeth. You should replace your toothbrush with a new one every three to four months. Because a toothbrush cannot reach the tight spaces between the teeth, flossing should be incorporated into your at-home oral hygiene routine. Gently guiding the floss between your teeth and rubbing each tooth using an up-and-down motion removes hard-to-reach plaque. You can use traditional floss or a pre-threaded flosser, whichever is more comfortable for you. The easier it is to do, the more likely you are to keep flossing every day! Using fluoride toothpaste is also ideal for strengthening tooth enamel and preventing decay. Fluoride mouthwash can also help improve your oral health and stave off embarrassing mouth odor, also known as halitosis. At your next dental exam and cleaning, be sure to express your oral hygiene concerns with your dentist. You can also ask for a demonstration of proper maintenance techniques to keep your smile healthy and attractive for many years. For more information about proper at-home oral hygiene practices or to schedule a dental appointment with Dr. Julie Gum, please call Gum Dental at 610.746.0488.